1 lb. 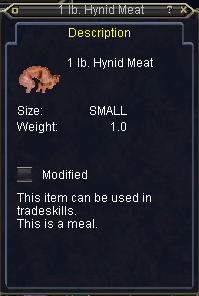 Hynid Meat can be foraged in Natimbi. Where? anywhere in zone or certain locations?